We are glad you stopped by, and encourage you to check out who we are and what we do. If you are a guy thinking about becoming a scout, we appreciate your interest! As for us, we are a high adventure Boy Scout Troop, and doing cool things and pushing the limit is what we are all about. In short, we get OUTSIDE! We live close to the "real Alaska" and we have fun. Our charter organization is Good Shepherd Lutheran Church on Bogard Road, in Wasilla, and we have openings for any guy from 11 years of age up through 17. We have 50+ active guys in seven patrols, and we have a blast! You do not have to have any previous scouting experience, but you do have to want to do exciting things! If that's you, then check us out! 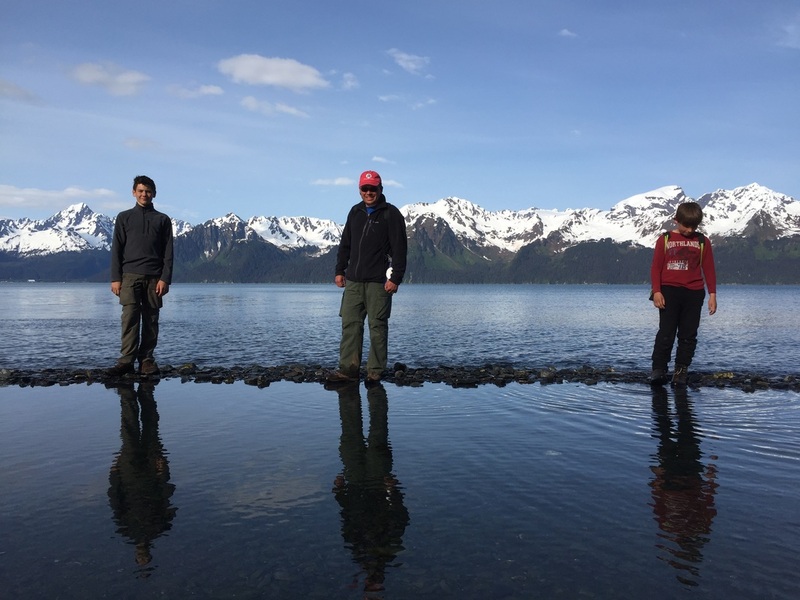 We have canoed, rafted, sea kayaked, mountain biked, rock climbed, fished, paddled, backpacked and swam in all kinds of great places, and there is nothing better than to explore Alaska with your friends. We have always focused on outdoor activities, community service, and development of good citizenship skills. Our Troop mascot is the Thunderbird, a Tlingit-Haida mythical bird. We live the adventure every month of every year, and we put the “OUT” in scOUTing and camp every month of every year. 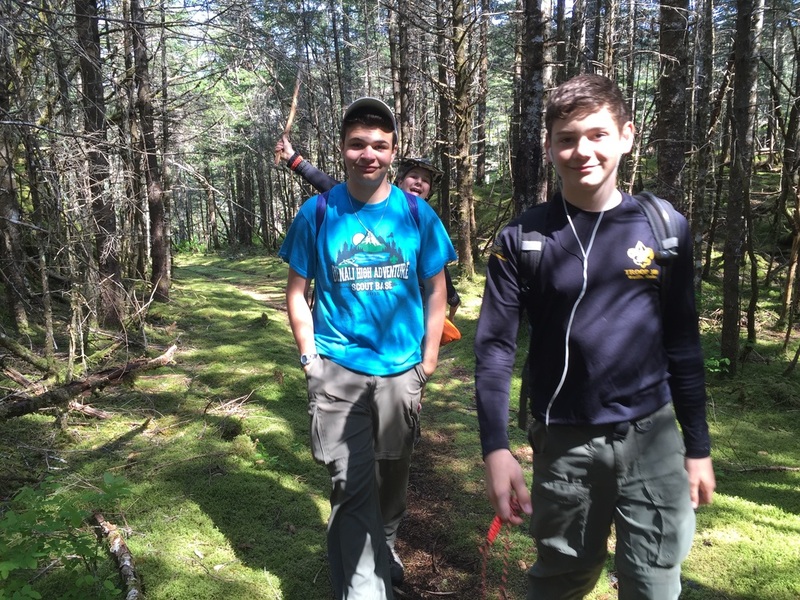 The scouts in our troop learn many different life skills, and have a blast doing so. ​ We hope you enjoy looking at our website, and take the time to look at our pictures to see what we’ve accomplished. If you are interested in joining our Troop, just come to a meeting and introduce yourself. ​Troop 300 was started in 2001 and our first scoutmaster was Mr. Michael Ralston and the Original Charter Org was Teeland Middle School. We met in the school. The Original Patrols were the Panthers and the Cougars – Both flags and names were from the Original Troop in Cottage Grove Oregon. 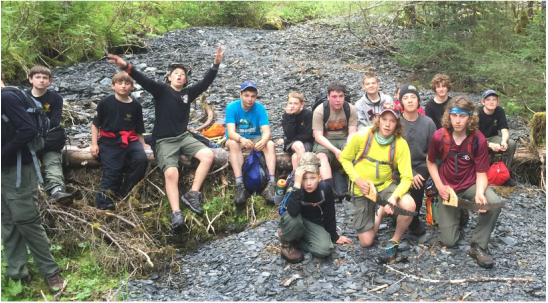 From this meager beginnings we have dedicated ourselves to running an Alaska Boy Scout Troop where the guys can advance, moving from that first SCOUT badge through all the ranks of scouting. We have fun! We do lots of things, but as we do them we learn new skills, we work through rank requirements, and for any guy in Troop 300 who sets his mind to it, Eagle is an achievable goal that he can realistically earned. For website issues or other techie-geeky things, contact our webmaster here.